Out of all the rooms in my house, I hate cleaning the bathroom the most. I think it is just because we are talking about the toilet and the tub specifically. AND, I have a potty trainer in my house meaning I have a potty chair in my bathroom...that needs to be cleaned almost daily. Then, my little potty trainer likes to dump her own potty when she is done and said child misses the potty some of the time. SOOOO, mom spends alot of time cleaning and disinfecting the bathroom. My worst nightmare in my bathroom is my tub/shower. Hubby likes to take baths and I shower. Certain soaps make really awful soap scum and unfortunately, we have loads of soap buildup in our tub. We also have tile and grout in our tub area and the grout turns black from mildew. So, as you can probably imagine...my tub is NOT the most fun area to clean. Have you ever tried to use really strong tub and tile cleaner? If so, you know how awful and potent it is to work with. I DREAD cleaning the tub simply because of all the toxic chemicals that are in cleaners. Today, I have a new company to introduce you to and it will put an end to all those nasty cleaners and chemicals. 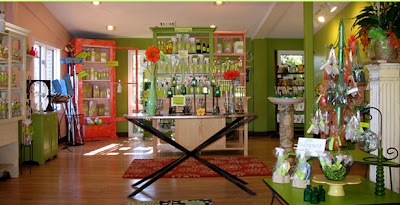 Just Naturals & Co. is a company based in New Hampshire that was founded by Karen Girardo and she is amazing. I have personally spoken with Karen on the phone regarding her company and products and Karen is highly knowledgeable when it comes to natural products. 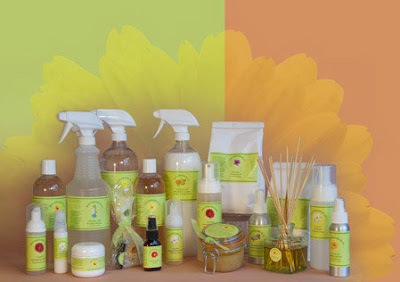 Just Naturals & Co. carries all natural cleaning, home, beauty, pet and baby care products that are safe and effective! Karen Girardo, owner and founder of Just Naturals & Company, worked in the Corporate world for over 20 years before starting her natural products company. Her personal story is what motivated her and led her down this path to find great performing natural products. Shortly after leaving her job to stay at home with her school age son, she became very ill. Her health diminished and exposure to toxins and chemicals made her situation intolerable. She personally found standard cleaning products, air fresheners and laundry products adversely affecting her health. 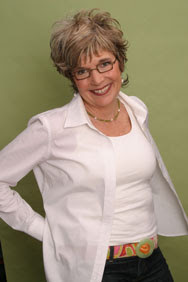 For many years Karen has held a close alliance with the naturopathic and holistic community. She educated herself over the years in order to help her and her son with various allergies, asthma and autoimmune issues . This background, combined with her corporate experience in product development and marketing, was very instrumental in providing the launching ground for Just Naturals & Company. Karen’s passion drove the research and found the resources needed to begin her business. She was determined to develop a line of natural products that performed, looked and smelled great., while providing extensive education to her customer base. To me, if I am going to use a natural product I want one that has been researched, tried and proven. I also enjoy using products that smell good too. That was one of the things that really caught my eye about Just Naturals & Co. Also, I absolutely LOVE the looks of their website...it is colorful, fun and very informative. It was a pleasure to speak with Karen over the phone and get to know her more. I would love to visit her shop sometime...isn't it lovely? She is passionate, knowledgeable and very helpful when it comes to understanding her company and why she does what she does. So, for this review I was sent two of her cleaners to try. I was sent the All Purpose Non-Toxic Cleaner in the lemon scent and the Shower, Tub & Sink Cleaner in the rosemary mint scent. I had told Karen about my tub and she was not sure if her cleaner would do the trick, but I was anxious to try it out as nothing has really worked for me thus far. My tub...I know, gross, right? Ummm...totally. Notice the black scum? Bathroom faucet...in need of a shining-up! Then, I faced the dreaded bathtub. One really great thing about Just Natural's & Co. products is the fact that they smell wonderful. Usually, when I clean my bathroom I do it when my children are napping...so they don't have to breathe in the fumes. Well, today when I used Karen's cleaners my son and daughter were both with me in the bathroom, hanging over the tub watching mommy clean. It was WONDERFUL to not have to worry about the smell. Notice how the cleaner cut right through the scum with some scrubbing??? Definitely is not 100% yet, but I would say it looks WAAAAY better...don't you think??? Ok. So, I am sorry for sharing those yucky "before" pictures with you all. But I really think it shows how well these products really work!!! I am VERY impressed. The scents were pleasant and the cleaners were gentle on my hands...no gloves needed!!! :) I am also pretty impressed with the price tag. The All Purpose Cleaner is $7.00 for a 16 ounce bottle. There are also larger sizes so prices will vary. Also, you have your choice of seven scents...which is awesome! The Shower, Tub & Tile Cleaner retails for $7.50 for a 16 ounce bottle and again, the sizes vary so your price will also vary. So, in my opinion...I am totally in love with Just Naturals & Co.! They are probably my most favorite natural cleaning products company now. I say that mainly because I am thrilled with my tub and how clean and fresh the scents were. Being that these products are natural, I had no fear of breathing in something toxic either. That goes a long way for me because I am a mom and I have to think of my family and their health. Karen, you are amazing!! Thank you for the wonderful company and the beautiful, healthy and natural products!! Visit Just Naturals & Co., then come back here and leave a comment letting me know which product you would love to win. :) You do not have to be a blogger to enter, but you must have a valid email where you can be reached should you win. If you do not leave an email address, it must be where I can easily find it. This giveaway is open to US residents (lower 48 states only) and will end 9/14 at 11:59 pm EST. The winner will be chosen using random.org and will be notified by email. The winner will have 48 hours to respond, or another winner will be selected. 1. "Like" Just Naturals & Co. on Facebook. 2 entries, so 2 comments. 2. Follow Just Naturals & Co. on Twitter. 2 entries, so 2 comments. Disclaimer: I received no monetary compensation for this post. I did receive Just Naturals & Co. Products for review purposes. All quotes and stock photos are from the Just Naturals & Co. website and email. All thoughts and opinions are 100% mine. I think the All Purpose would be wonderful to have! I've been cleaning with a vinegar and water mix, but my hubby hates the smell! The citrus spice sounds nice. 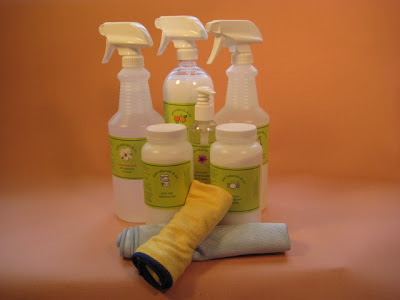 I'd love to win the All Purpose Cleaner or the Aromatherapy Dish Soap in tangerine lime scent! I'd like to try the Lavender laundry soap most of all. I liked Just Naturals and Company on Facebook; comment #2. I would love to win the All Purpose Cleaner in Jasmine Lemongrass scent. Thanks so much for hosting this great giveaway! I would like to win the All Purpose Cleaner in Citrus Spice scent. I would like the Lavender Laundry Soap. If I could pick any product to win it would be the Organic Jojoba Scrub Creme. I "Like" Just Naturals & Co. on Facebook. I Follow Just Naturals & Co. on Twitter. I'd like the all purpose cleaner. I want the lavendar laundery bag. I'd love to try ANYTHING in the Tangerine/Lime scent. I think I'd be able to use just about any of the products, so I'm all about the scent, LOL. I would love to win the Laundry PreTreatment. I would like to have Just Naturals & co. Lemon All Purpose Cleaner. 1. Like Just Naturals Co on facebook. 2. Like Just Naturals Co on facebook. I'd like to win the Just Oxy Toilet Bowl Cleaner. I like Just Naturals on FB! Mandatory! - I would really like to try out the Just Oxy Toilet bowl cleaner - anything to make that job better/more enjoyable! I would love to try the natural zinc diaper ointment. I would love to win the Bug Off! Natural Bug Spray, that would come in handy for sure. I would like to try the Shea Butter Lotion.